I love my car. It's a 1995 Pontiac Grand Prix SE. I bought it in 2005 and I have been really happy with it. It's gotten me as far north as Nebraska, as far west as Denver, as far east as St. Louis and as far south as Fort Scott and all places in between. It's been a good car even in situations where it shouldn't have been a good car. But before I get into all that, I want to talk about my other cars. My first car was an 1987 GMC Jimmy and despite not being able to use that car very often, I loved it. I hardly got to drive it because immediately after I bought it, the starter went out. It took nearly two weeks to get the money to fix it because it had to be towed and everything but I finally got the Jimmy back and was able to drive all of one month before, funny story, the brakes went out. I was going eighty down a gravel road when I tried to slow down and nothing happened. When I took the car in to have the brakes and transmission looked at, the mechanic told me the brake booster was shot and that it looked as if someone took an hatchet to my transmission hose. I told him to fix the transmission thing but I couldn't afford the $400 for the brake booster so the car remained parked and unused until I finally sold it for $100. I loved that Jimmy and it broke my heart. 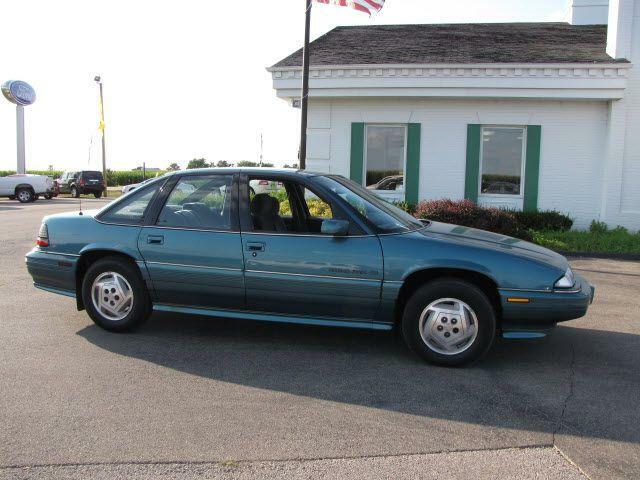 The next car I had was an Oldsmobile but it wasn't technically mine but was my mom's. The car became very dangerous because the door wouldn't latch so you had to hold onto it when you turned--especially turning left. My Pontiac has lasted since 1995--since 2005 in my care--which is pretty good for a car I've owned but over the last year or so, stuff has been happening that tells me that I should start looking into getting another car. First the knob came off of the hot-cold designator. So I have to keep a pair of pliers in my car now if I need to change that. Then the driver's side windows stopped working. Not just one window, both of them. I've had cars where the windows stopped working so it was just par for the course. And nothing extraordinary happened until a couple months ago when the knob to turn the heater and A/C on and off broke off. That was the straw. I'm hoping to look into getting a new car next summer. I stopped doing my monthly drives (I may do one more in the Spring as a last farewell) to stop putting unnecessary miles on my car. I'm going to miss my car but hopefully a new car will be better. Sadly, after I typed all this, my car apparently got mad at me and now the transmission is going out.